This home is charming, was priced just right, and it’s in a hot area – so it went FAST. 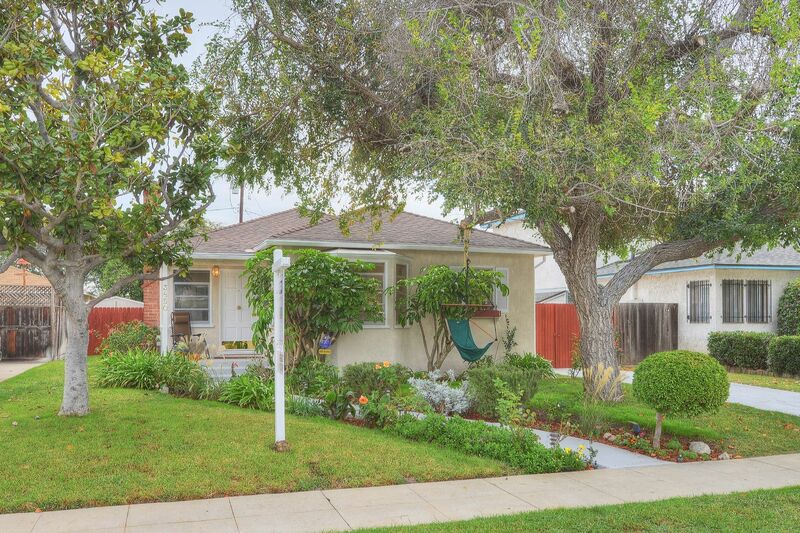 To get a house like this – up and coming area like Culver City, good schools, under $1M – is really rare. What’s special about this house is that it really has a good-sized lot, but there are also the three bedrooms, the hardwood flooring throughout, the copper plumbing, the newer roof, the very generous beautiful outdoor deck, the grassy yard, the landscaped grounds, and, most of all, it’s on a really charming street. It’s very nice and quiet neighborhood, with sweet, cute sidewalks. There is a newly built home right across the street, and lots of homes have been recently remodeled. Builders are also tearing down and building beautiful new homes in the neighborhood. Rates were still low, so that was the time to pull the trigger. For more details, check out the 3850 Bledsoe website. Offered at: $899,000. Sold over asking.